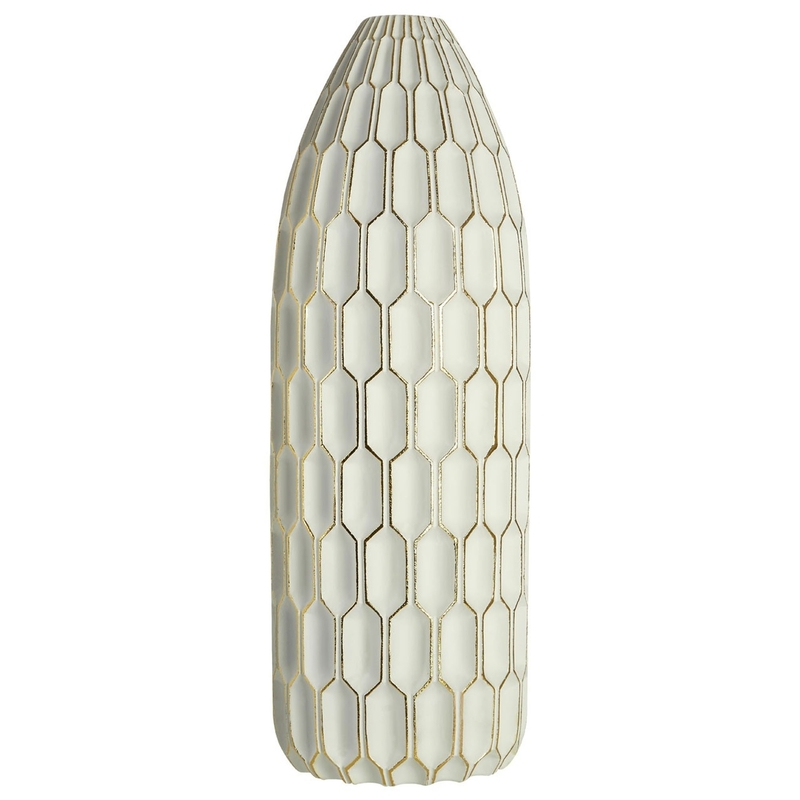 We are very proud to introduce this gorgeous Complements Small White Vase. This vase has a splendid design that takes a unique shape and makes it curve upwards into a perfect placement for flowers. This piece is given a lovely hive pattern and is given a stylish white colour to create a very homely and inviting design.